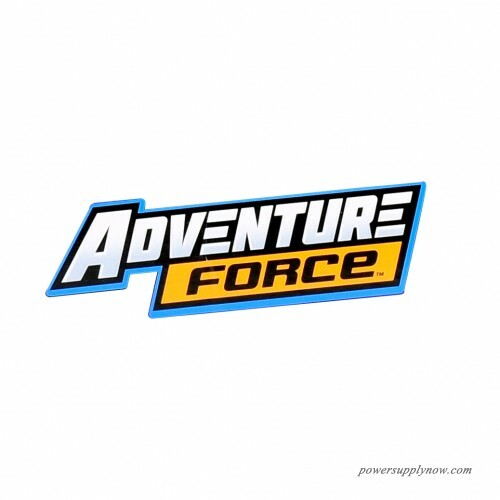 Adventure Force Giganotosaurus Dinosaur Explorer playset lets you imagine big adventures with prehistoric beasts. 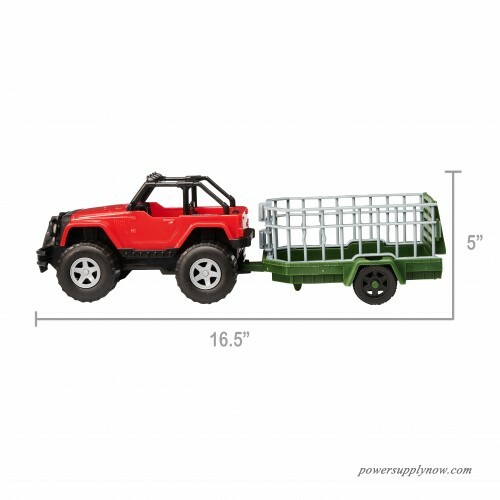 This set comes with an open-top Jeep with a removable trailer to transport your T-Rex. 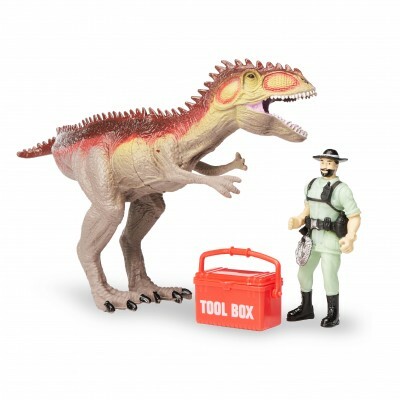 The set also includes an explorer action figure with his own tool box loaded with everything he needs for an expedition. 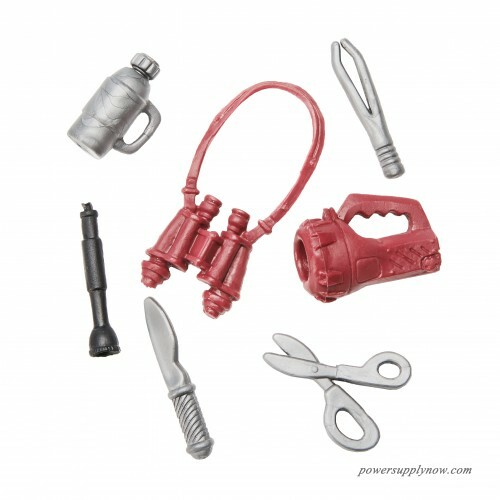 The tool box includes a toy flashlight, toy shears, toy binoculars, a toy canteen and other dinosaur-wrangling necessities. The back of the trailer opens so you can load up your dinosaur. The Jeep makes sounds and has flashing lights, too. This set is suitable for kids ages 3 and up and it comes with 3 button cell batteries included so you can start dinosaur hunting right away. Your imagination brings prehistoric creatures to life with the Adventure Force Giganotosaurus Dinosaur Explorer playset.